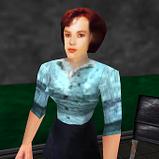 [Goldeneye 64] We should go to the main control room. Does anyone remember Goldeneye 64? It was really the only console shooter I could ever enjoy. Funny as hell is how best to describe this Goldeneye 64 video. You can tell just how much work was put into it.